-6- quote from anything I write. Surly, let people who are in it contribute money or help work on L.N. There's little new that happens here. Things go on pretty much the same day after day. The really interesting, new things we are being told, we are forbidden to even hint at. Goodnight, dearest, wrap yourself in my love and sleep well. 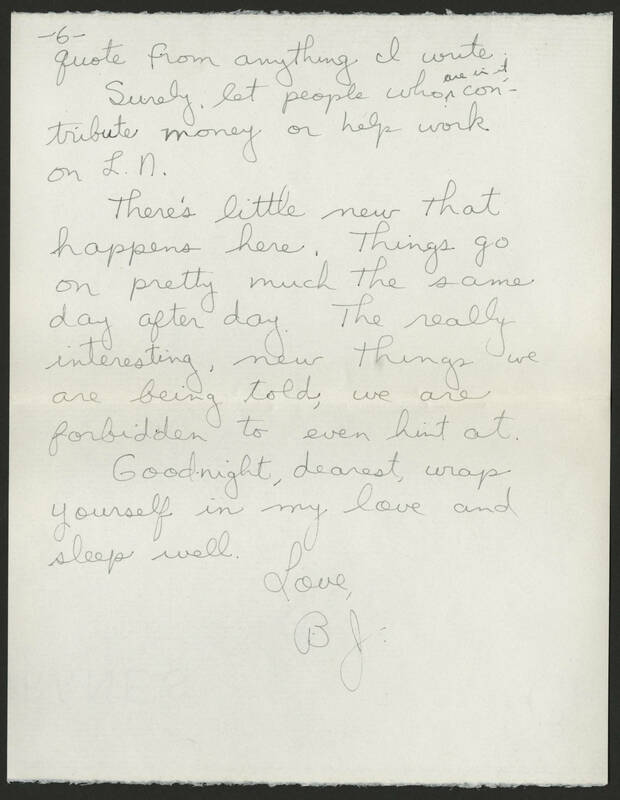 Love, BJ.